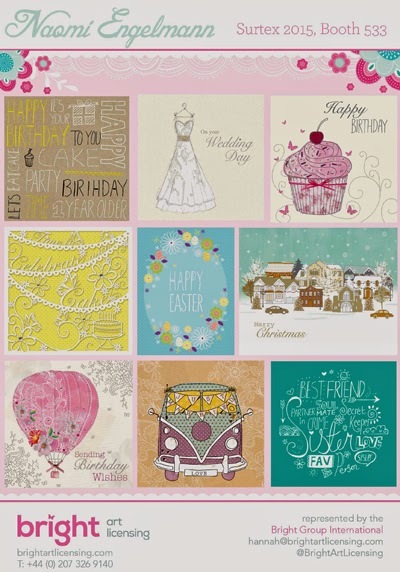 Bright Art Licensing will be at Surtex this weekend with their fabulous variety of artists, illustrators, and design styles. 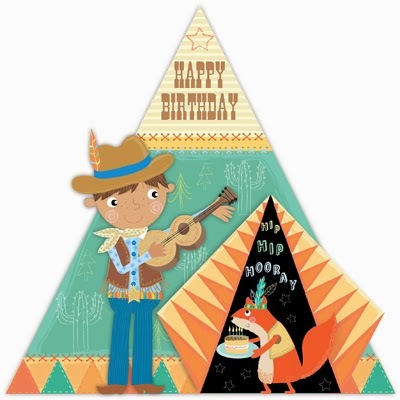 Showing in booth 533 Bright is a dedicated art licensing agency supplying artwork to the gift, merchandise and greeting industry. 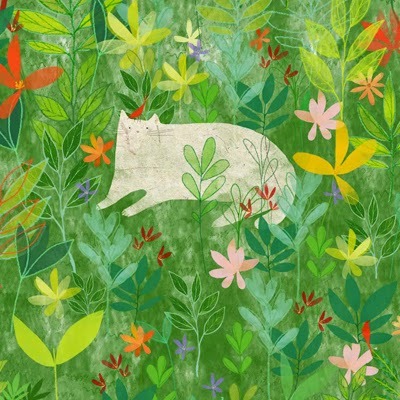 We have a selection of flyers and folio examples from various Bright artists starting with Gladys Baccala. 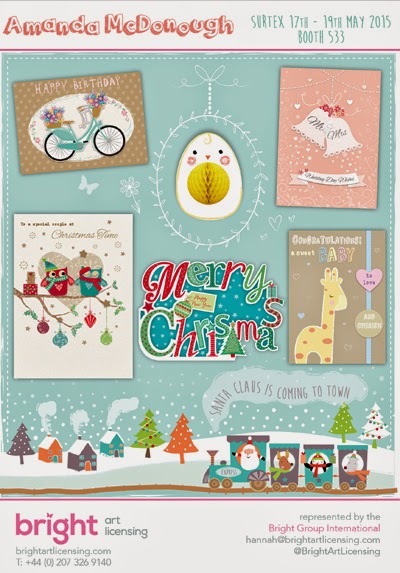 In a break from the normal I will also be posting a Surtex flyers on Saturday and Sunday too, to catch up on any late entries before the big show opens. 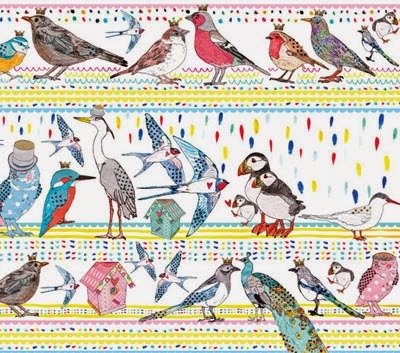 Louise Wright is an illustrator and designer with a passion for children's design. 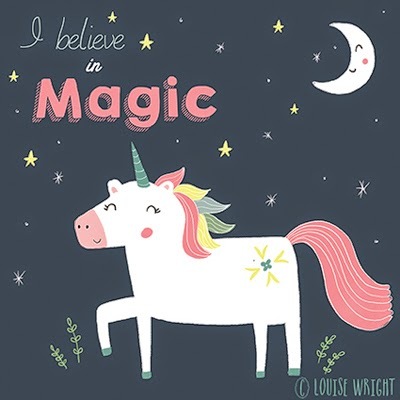 Louise draws inspiration from nature and has a lot of fun unleashing her inner child every day while she works! 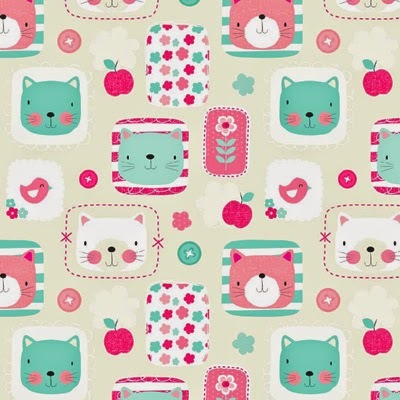 Alice Palace is a brand new edition to the Bright Art Licensing family of artists. 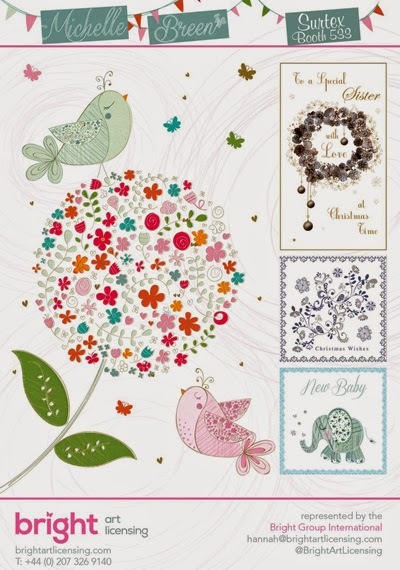 Don't miss her Surtex collections in booth 533. 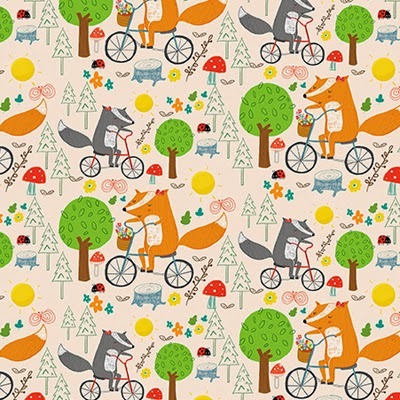 Dotty Lottie Designs (Charlotte Archer) is an Illustrator and Surface Pattern Designer based in London. 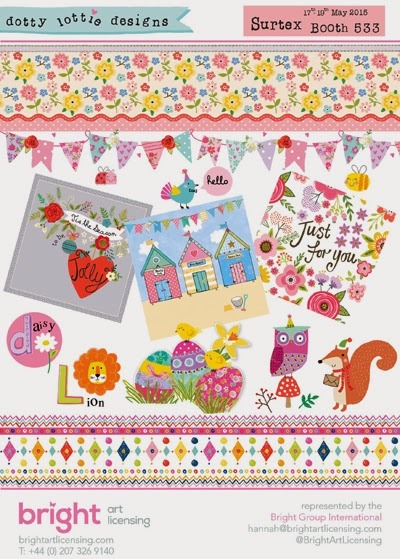 Dotty Lottie is offering a range of new designs at the shows including Christmas, children's designs, and patterns which are suitable for stationery, greeting cards and homeware. 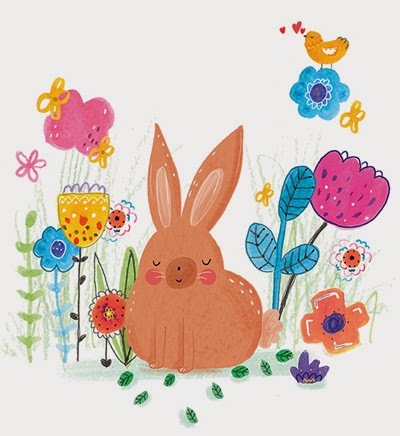 You can see more examples of Dotty Lottie's work on her website here. 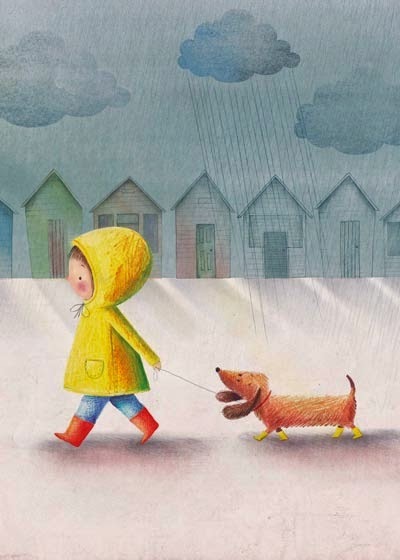 Fiona Woodcock is a London based illustrator working in children's picture books and licensing (with a background in animation). 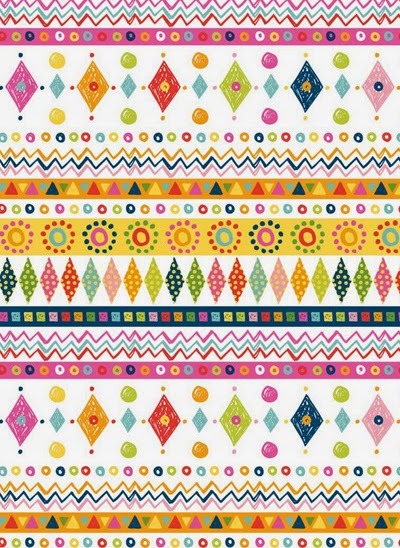 Everything she works on is hugely inspired by her love of pattern. 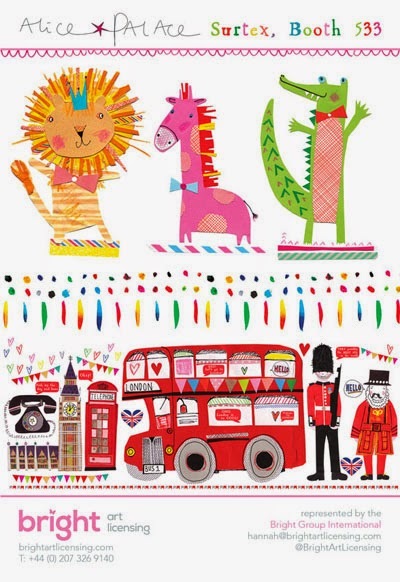 The Bright Group will be representing Fiona not only at Surtex at booth 533 but also at PG live in London at stand 148. 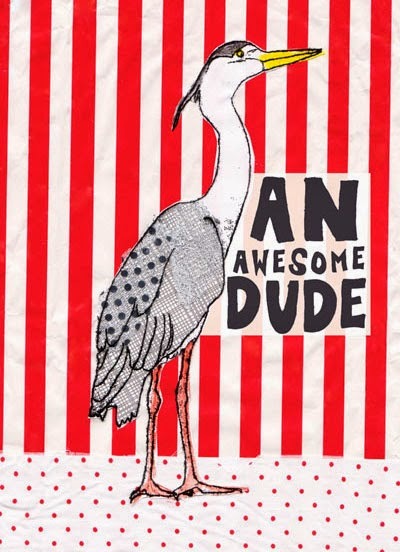 Christine Gore is a designer and illustrator based in the North West. 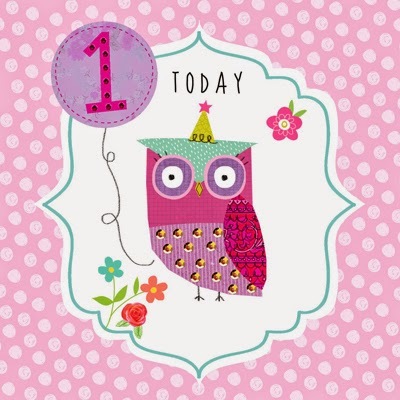 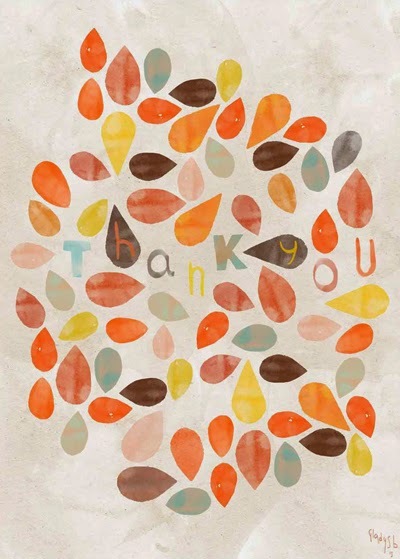 Eleri Fowler has 10 years experience in the greetings card industry, freelancing for the past 2. 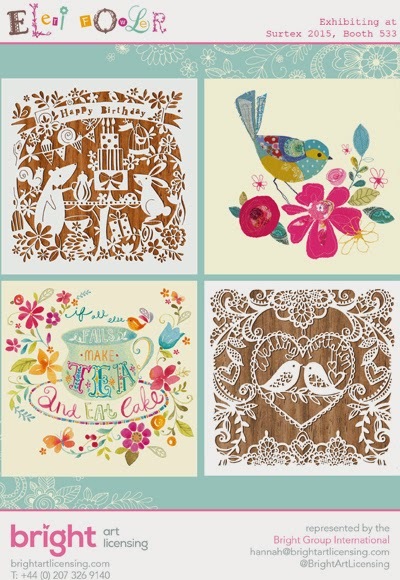 Eleri works in a lots of different freehand techniques but specialises in laser cut design, 3d characters and stitch. 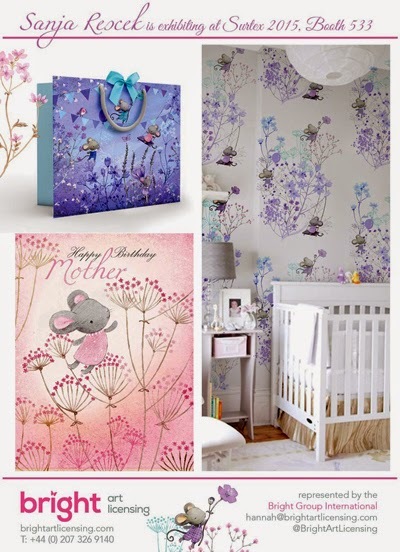 She has various work currently on sale including ranges for Paper Rose, Paperchase and Whistlefish Galleries. 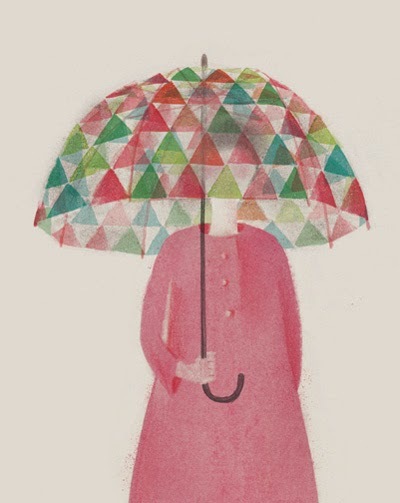 Anna Jones is a Brighton based artist and illustrator who's work is created by combining both traditional media and digital techniques. 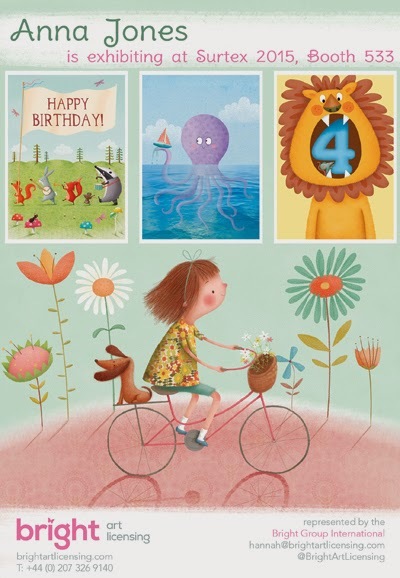 Amanda McDonough has15 years experience in the greeting card/gifting industry, and is happy to be represented like all the other artists in this post at Surtex in booth 533 by the Bright agency. 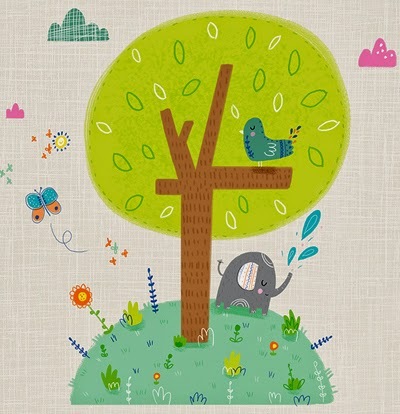 Sanja Rescek is a designer and illustrator who specialises in Children's Design. 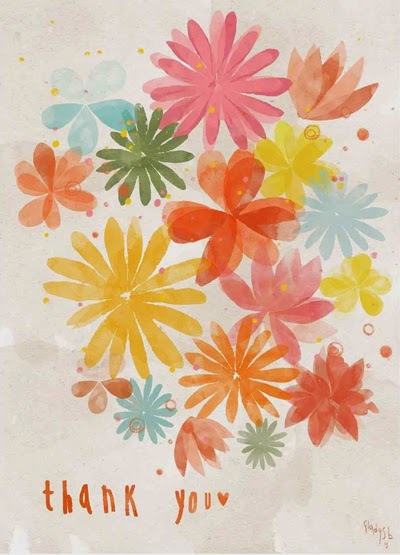 Her work is very much influenced by botanical drawings from the 18th and 19th century combined with modern elements. 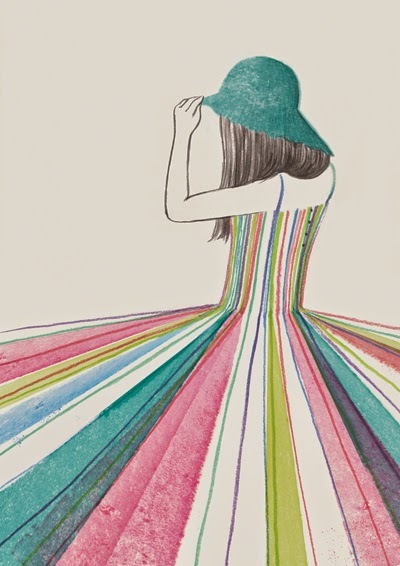 Naomi Engelmann is a British designer living in Melbourne Australia. 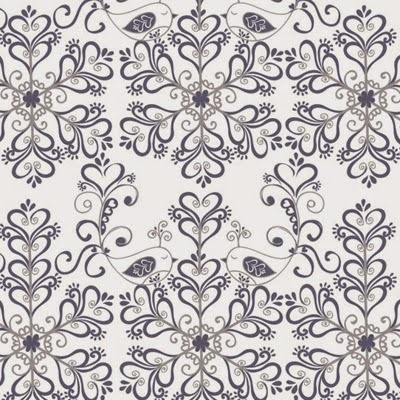 She has been a Designer for 10 years, and studied at the Manchester School of Art. 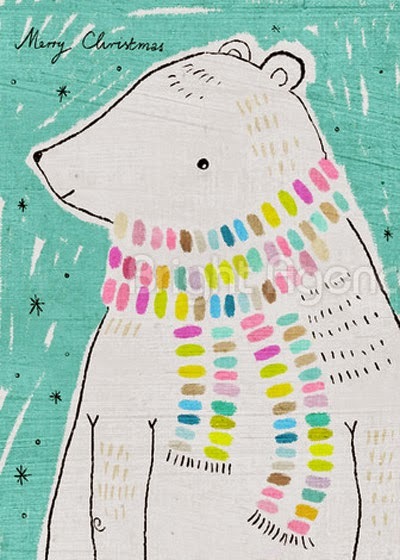 Naomi is passionate about painting, drawing and sketching. 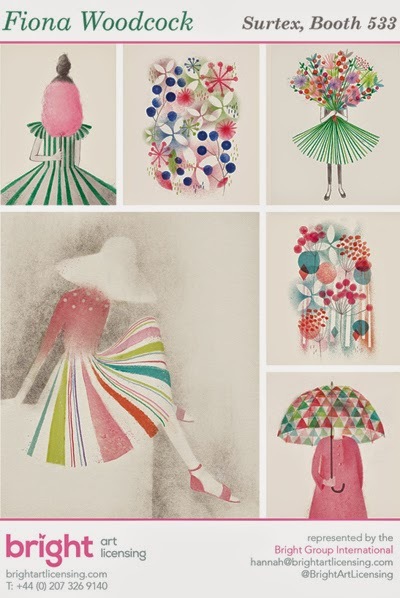 Everything around her inspires and influences her designs. 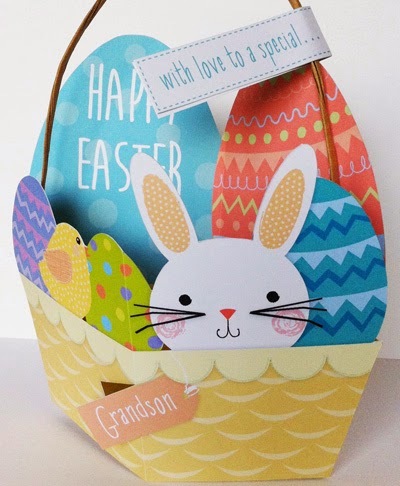 Naomi loves a challenge to push her skills further and creates her own typography, patterns and textures to make her designs more innovative. 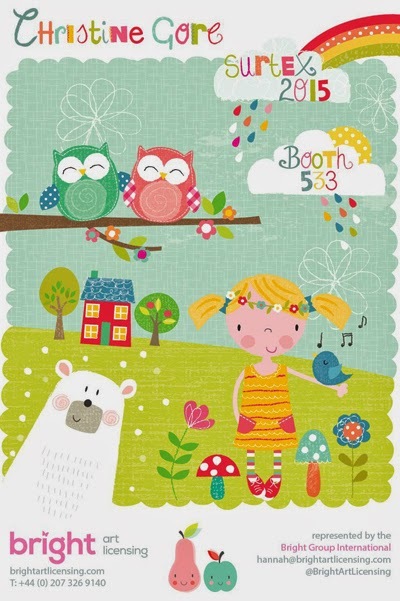 See Naomi and all the other Bright Art Licensing artists at Surtex in booth 533 or go online here. 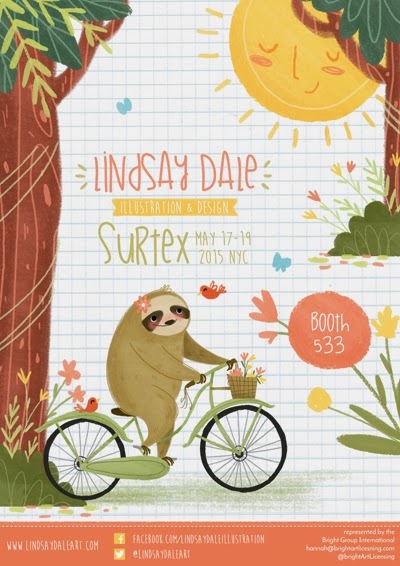 Lindsay Dale will be showing work at Surtex. 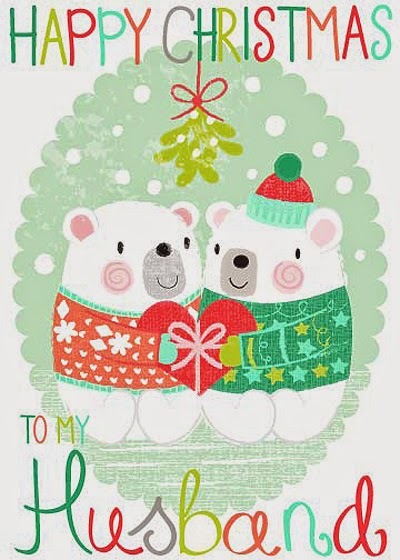 Lindsay is an illustrator and designer based in Columbus Ohio. 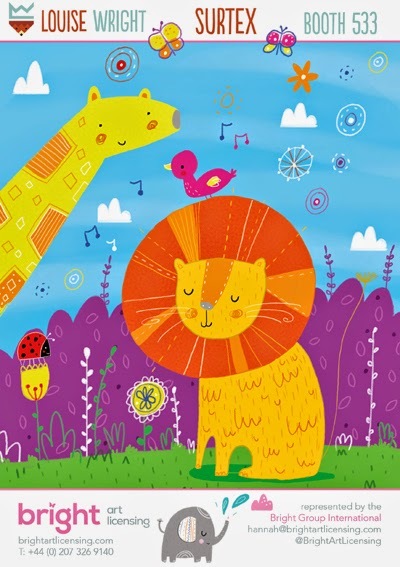 She has just received a BFA in graphic design from the Columbus College of Art & Design in December 2014 and recently joined Bright Group International to start a career in children's illustration and licensing design. 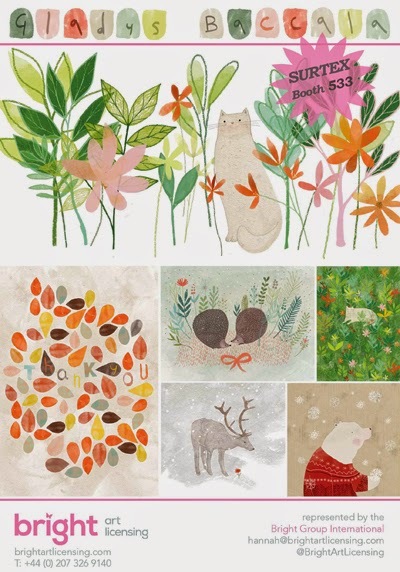 If anybody was interested Whistlefish have art prints by Fiona Woodcock and some of the other fabulous Bright agency artists featured in this post.